The latest No Man’s Sky update has made huge improvements to the game, but it’s also causing players’ save files to be wiped. Update - 3:42pm, 7/27: This issue has been resolved on all platforms. Some players across all platforms are finding that when they try to load their game, they’ll see their hours played logged correctly, but their save will start at the beginning of the game, meaning they’ve lost all progress. Loading from a previous auto-save or manual save from the affected game doesn’t appear to resolve the issue. Players on PC have found a workaround for this issue by editing their saves, but no such fix exists for PlayStation or Xbox. Kotaku video producer Paul Tamayo, who lost his progress yesterday on PlayStation 4, was able to load a previous save he had backed up on a USB drive to recover his progress. He said that loading from a cloud save did not work as it automatically uploaded as he was playing, and he recovered his save from the PlayStation we use at the office by loading that save onto a USB stick, and then starting his game from that save. No Man’s Sky developer Hello Games did not respond to a request for comment last night. 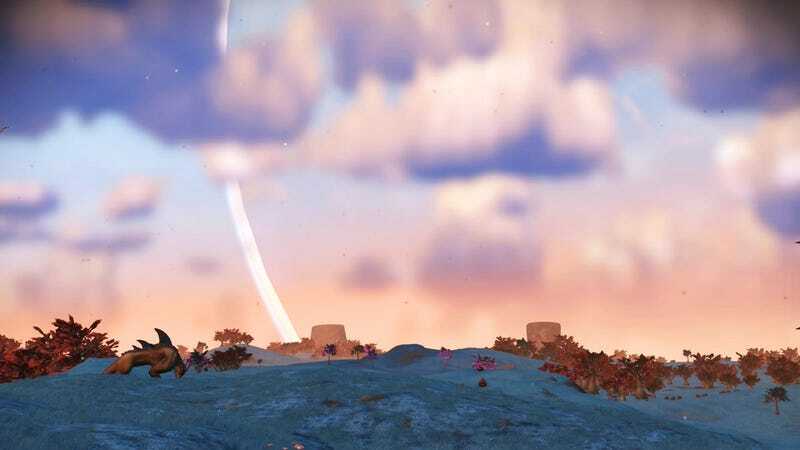 Update - 10:33 am: Hello Games has said that hotfix patches are incoming for PC, though updates for PlayStation and Xbox will be slower. The last time No Man’s Sky received a huge update, Hello Games pushed several small bug fix patches in the weeks afterward. Hopefully this bug will be fixed quickly and players can get back to exploring the galaxy without the fear of losing what they’ve done so far.